Singapore has now fibre broadband service. The service is ultra fast that many customers are satisfied. According to a survey carried out by OpenNet from July to August 2013, 88% of the 500 broadband users were satisfied with fibre broadband service. OpenNet’s survey also revealed the leading online activity – video streaming. OpenNet is the builder of this fast fibre broadband network. As of September 2013, there were about 450,000 households using fibre broadband service by OpenNet. The leap in the number of subscribers was attributed to the launching of 200 mbps for only S$39. Fiber optic technology is used by service providers for their broadband services. This is a new breakthrough in internet bandwidth which made the world even smaller. There are many benefits of fibre optic technology such as easing of internet congestion and video streaming. 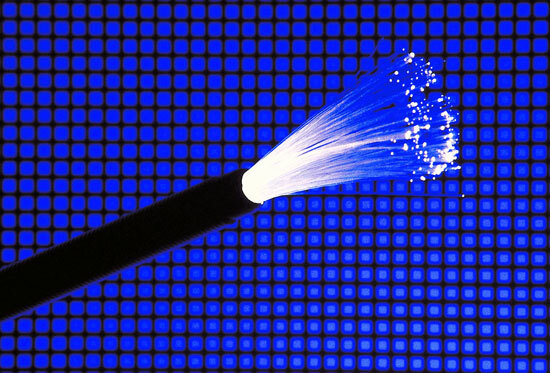 Internet providers employ fiber optics power to increase connectivity. Fiber optics in telecommunications and networking are widespread for many years but the recent development of fiber optics made it more popular. Fiber optics operate base on the fundamental principle of physics – reflection and refraction of light. Experts pointed out several advantages of fiber optics (apart from increasing of bandwidth). Fiber optics are light weight and small, low in signal decrease, low in error rates and noise rejection. These advantages made up the efficient fibre broadband service. What are you waiting for? If you want to try this, you should subscribe to your nearest service provider. There are many plans with flexible offers that you can consider. This technology can indeed hasten the exchange of information. Enjoy this technology and make sure to use it for your advancement!